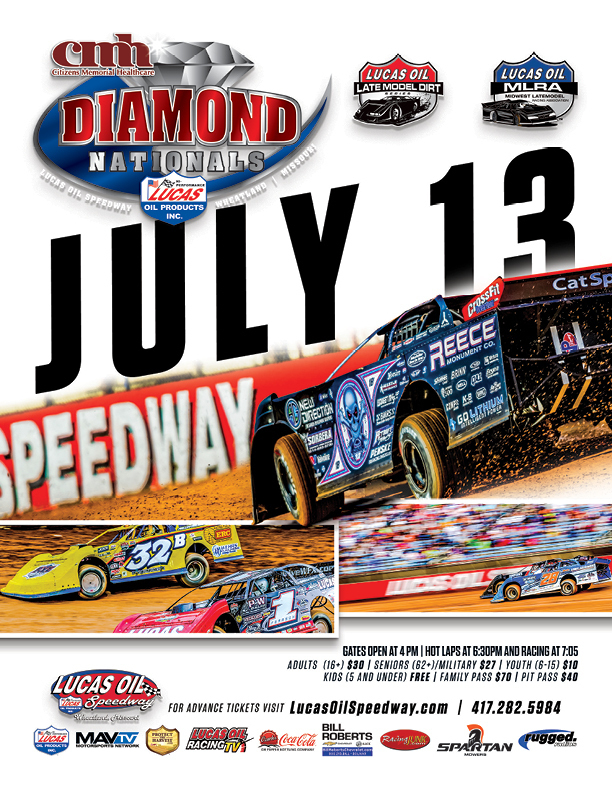 The 13th Annual Diamond Nationals features the Lucas Oil Late Model Dirt Series in their second apperance this season as the country's top Dirt Late Model Driver's attempt to claim the $12,000 winner's share of the purse and the prestigiouse Diamond Ring that goes with it. Scott Bloomquist scored a history making 600th win in 2018. 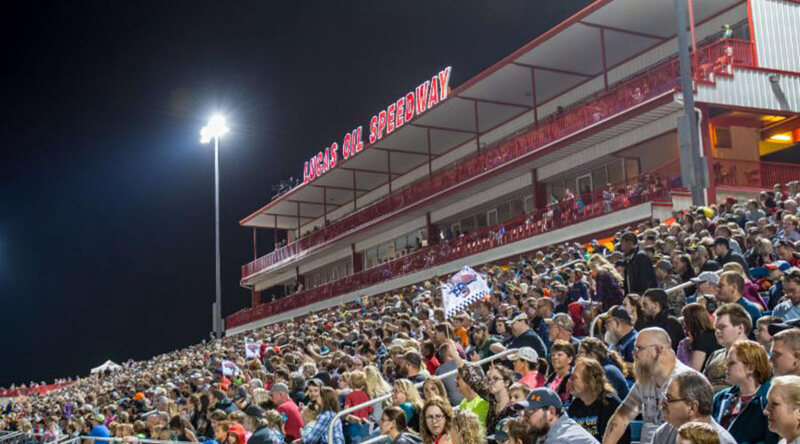 The top drivers from the Lucas Oil MLRA will also be in attendance, as they challenge the stars and cars of the Lucas Oil Late Model Dirt Series. The Pitt's Homes USRA Modifieds and the O'reilly Auto Parts Street Stocks run in support of the Late Models. The Pitts Homes USRA Modifieds will be in action gunning for a top prize of $2,000 to win, while the O'reilly Auto Parts Street Stocks will be gunning for a top prize of $1,000 to win.